When leasing or purchasing a BG from a bank instrument provider, there will always be a fee involved. The difference between the purchased and leased amount can be a substantial amount of money. It is very hard to find genuine providers of bank guarantees. There are many service providers for BG’s on the internet, it’s quite hard to decipher who is legitimate and who can perform? Trying to source providers can be VERY risky, it can also be a waste of time and be an expensive way to do business. You have to be incredibly diligent and very careful in who you deal with in this area of finance using Bank Guarantees. The internet is fraught with those who proclaim that they obtain BG’s whereas more often than not they are only seeking fees. People don’t realize that one service (Provider) has to dovetail the other (Monetizer), eg; one party may not recognize the other. All of a sudden you have a bank instrument with no-one to go to to monetize and/or trade it, leaving yourself a hefty bill. The wording on the BG is not suitable for Monetization and designed specifically for commerce. Another case in point, Monetizers block the bank instruments when they go into trade. You can not physically pass on a leased instrument to trade with. 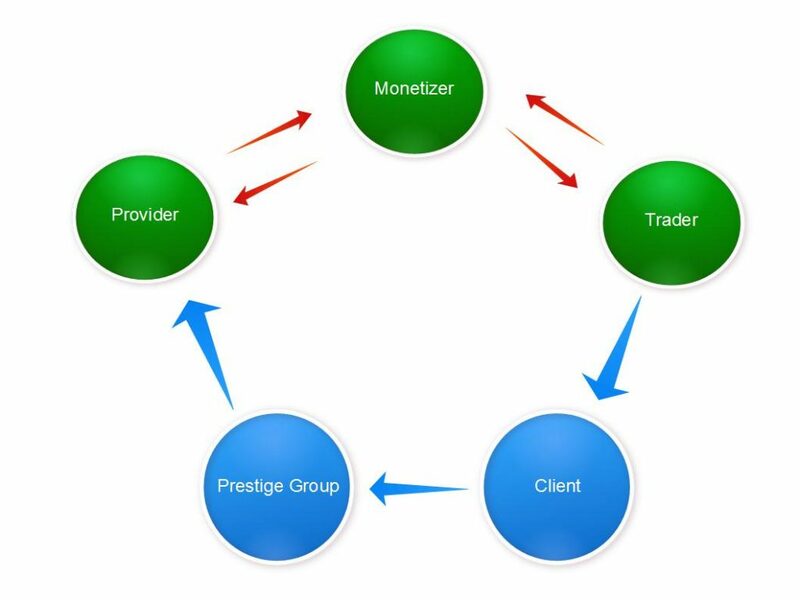 The trader will not trade a bank instrument if they have not agreed to do so with the monetizer. The image below represents just one example of the Bank Guarantee process from applying through us to receiving the BG. A closed ended transaction would involve International bank guarantee providers, monetizers and traders all work in tandem with each other for the purpose of funding projects. Each part of the transaction process work as a whole by having pre-arranged agreements with one another. By having pre arranged agreements with Providers, Monetizers and Traders working in tandem with one another, this will this help a great deal towards minimizing risk during any part of the financial transaction. We call this a ‘close ended’ transaction. Click here if you want to learn more about SBLC’s and how they work. Where all possible, safe guards have been put in place to ensure maximum protection of client’s money. (Issuance and monetization of a bank guarantee.) For example; banks will adhere to ICC banking rules as well, will operate under the regulatory framework within the country the operate in. That and depending on what process we are utilizing, there may be insurance bonds put into place to protect client’s funds. There are are many options when applying for a Bank Guarantee, whether you pay the SWIFT fee or not to levels of comfort you need that the Provider will perform. As with Closed End Transactions, it is the best way to manage the issuance and monetization of a Bank Guarantee. Additional layers of security are added to help streamline the process. One security approach is to use a solicitor/lawyer service to put the fees into an escrow account (POF) working on behalf of the beneficiary approved by the Provider. The fees are not handed to the provider until a pre-advice MT799 has been delivered by SWIFT. Another approach is we align ourselves with an underwriter who is able to insure the capital. In other circumstances, if the Provider can not cannot perform, you will have an agreement in place that the fees will be returned. There’s always some kind of paper trail and it is standard practice that receivers will get a hard copy of the SBLC once all fees have been remitted. As a company we are not risk takers and therefore work with service providers who have done their utmost to put safety measures in place to minimize risk to the best of their ability. The above is not something we currently provide. However its not to say that closed ended transactions do not exist, they do but they are very difficult to come by. Please note; the monetizers that Prestige Capital Partners work with will only deal with instruments that have been issued and therefore all fees including lease/purchase fees must be paid for before the monetizer issues a contract. What Is The Instrument For? Are You The Buyer Or Representative Of The Buyer? Every Now And Then We Receive Investment Opportunities, Would You Like To Hear About Them? You Have Read, Understood And Agree To Our Terms And Conditions.